General | Bea Cannon's Blog. 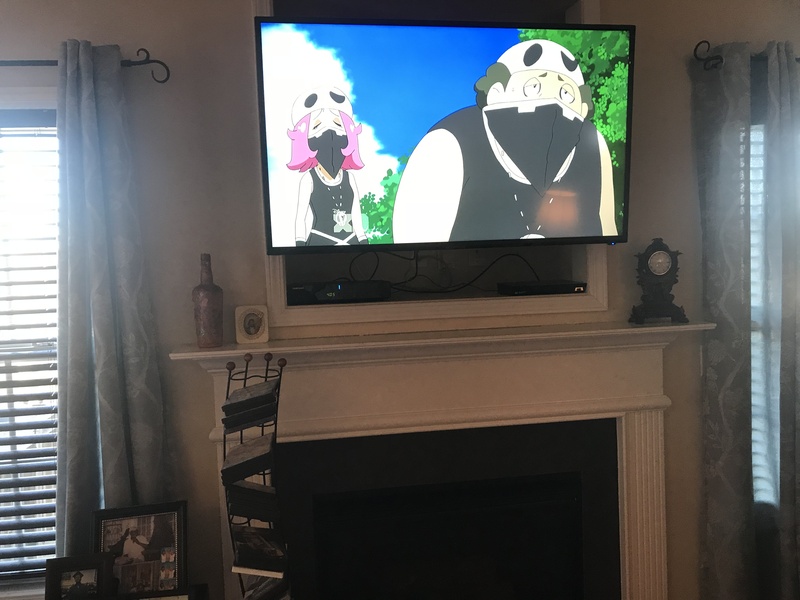 I had a forty-three inch TV sitting in the niche above my fireplace which is where the cable comes into the family room. It fit in there quite well and the DVD player sat on the mantel right in front of it. 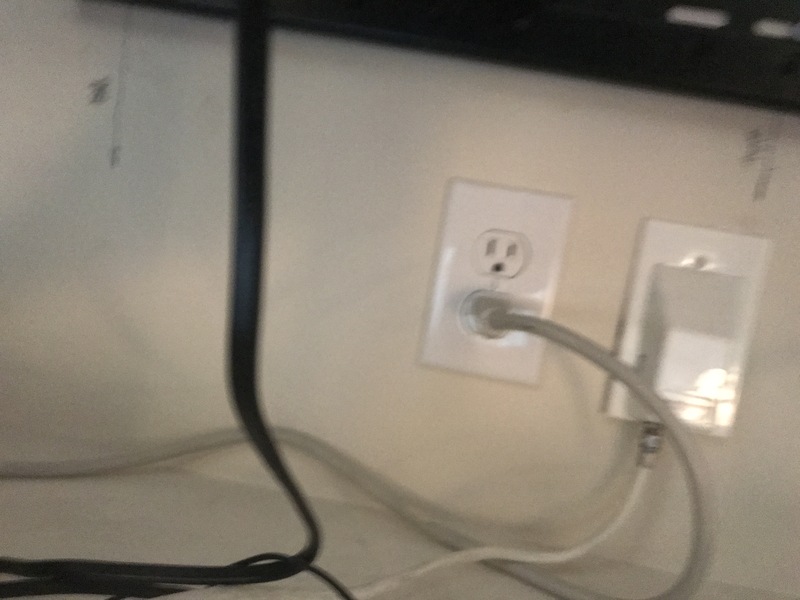 However, the cable box was too big to fit so the coaxial cable went over the mantel and down the wall to where the box sat on a cabinet on the floor. With the cable hanging down and that box with lights that are pretty tempting to a little guy, when any small kids came to visit – and I have a number of great-grands – it was a constant battle to keep them away from the box and cable wire. 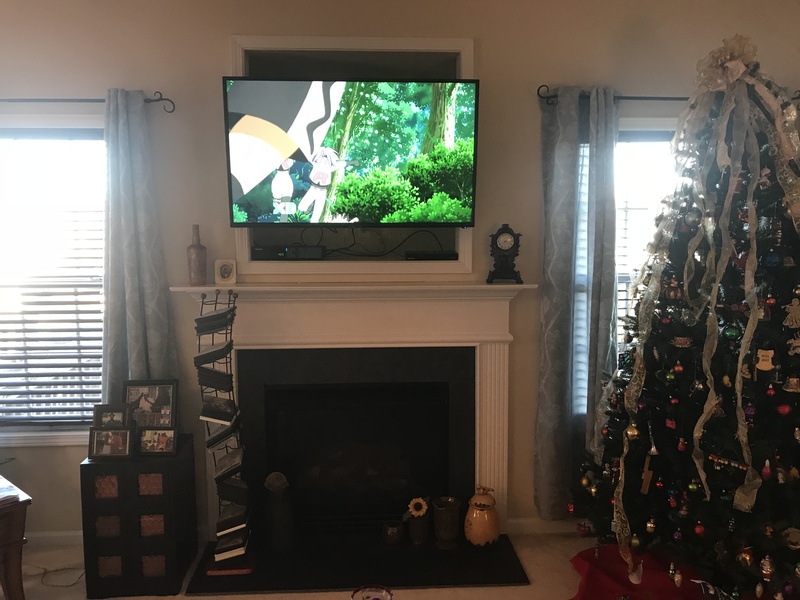 Since they were coming for Thanksgiving, I decided I needed a way to place the box so it would fit under the TV up in the niche and out of reach of curious little hands. One of my daughters bought a small cabinet that she thought would do the trick but being genetic procrastinators, we didn’t get around to trying it out ‘til the night before Thanksgiving. It was ‘way too big and there was no way to get anything else before the next day. So, staring at the box in which the cabinet came, and realizing it was made of sturdy, heavy-duty cardboard that would hold the weight of the TV and was just about the right length and height, I got a brilliant idea, and whipping out my handy-dandy box cutter, I cut openings in the box, made some air holes and, voila, I had my storage “cabinet”. Okay, so it wasn’t pretty. And my daughters laughed at it. And my family that came for Thanksgiving dinner kept giving it – and me – raised eyebrows and funny looks, and my sister suggested that it might look better if I covered it in Christmas wrap but hey, it worked. In spite of the complaining of one of my daughters (she called it “hainkty), there it stayed right on through Christmas. I figured I’d find something better after the New Year but I wasn’t in a hurry. It might’ve gained itself a much longer stay if we hadn’t gotten a fifty-inch TV that wouldn’t fit inside the niche. 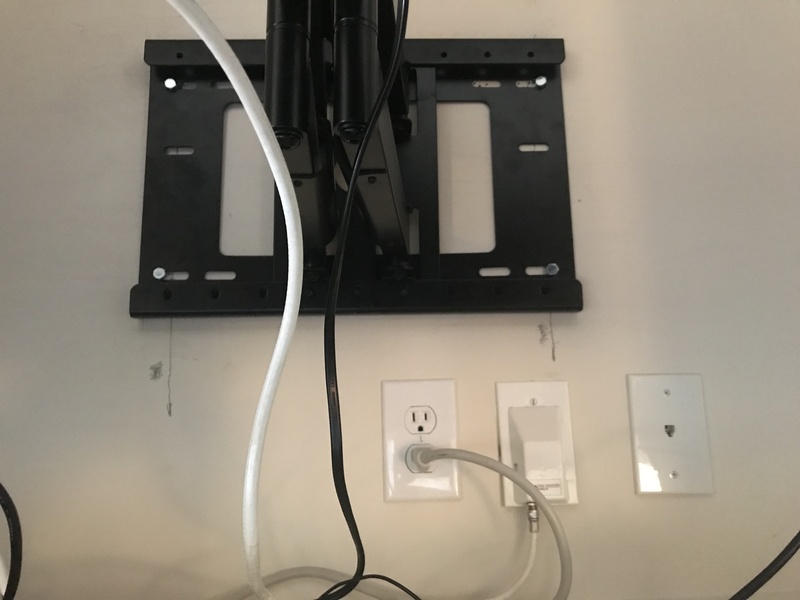 The only other suitable wall in the room was going to require that I buy a stand or have the thing mounted on the wall plus I’d have to get the cable company to put an outlet there. Well, I thought about it and considered the hassle of actually getting the cable company to come out (no mean feat around here) not to mention it would likely cost more than I wanted to pay. So I went looking for a reasonable solution… and found one in an Aeon heavy-duty wall mount with a thirty-two-inch tilt and swivel arm that can remain permanently extended. Perfect for a twenty-four-inch deep niche, right? Then, I discovered just how much it would cost to get it installed in that particular spot. I got the mount at a discount but to get it installed was going to cost more than the mount. I did some more considering and being a long-time (ago) DIYer, I watched the Youtube video that I found and decided to do it myself. So, I read all the instructions that came with the mount and it came with all the hardware I would need. I did discover that there was no paper template and the heavy-for-an-old-lady back bracket was to be used for that but I figured I could handle the job since the bracket wasn’t that heavy. I rounded up my ladder, drill, ratchet screwdriver, socket wrench, stud-finder with a leveling laser, and had at it. 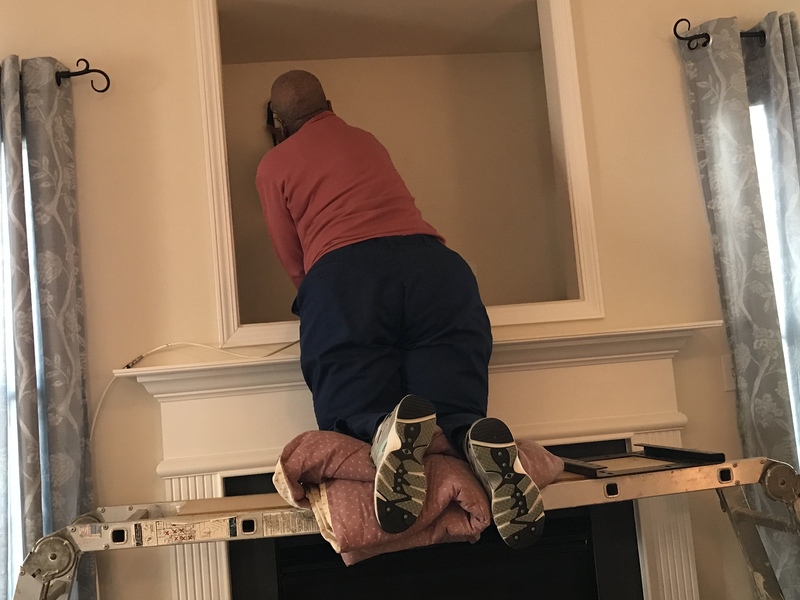 The first thing one has to do in order to put a mount into a niche over a fireplace is to climb up, or as my daughter put it: “In order to mount the TV you have to first mount the nook” (her words, not mine!). So, with some judicious placement of ladders and a lot of huffing and puffing (and grunting), and going back to get something with which to pad my arthritic knees, I managed to get up there. So, there I sat resting for a few (yeah, my Christmas tree is still up; we’ll try to get it down sometime before Valentine’s Day), then I got down to finding studs, measuring stuff, and preparing to put the thing up. And after much marking and careful leveling and drilling of starter holes (and scowling and wishing I’d taken time to make a paper template because I kept losing my grip on the bracket and pinched some fingers which was accompanied by some saying of words that I definitely can’t put here), I finally got the lag bolts in. One of my daughters handed up the (heavy) extended arm, I slid it in, screwed it down and the thing was quite sturdy… but not level. It would seem that I’d not paid attention to the fact that I’d gotten just a hair off during one of the times the bracket slipped, so the starter holes for the left lag bolts were not exactly where I’d intended, and having put the bolts in, no way could I remove them and put them back that close without splitting the stud. But, thank God, the mount has a feature that allows it to be leveled in spite of such minor mishaps, so… all was good. My daughters helped place the TV on the mount and after the three of us got through saying more bleepable words (a lot) because it was ‘way harder than we’d thought it would be (not because the TV was heavy – it’s not – but the two bottom screws that attach the mounting plate on the back of the TV to the mount were a real pain in the, um, posterior to get in!) we levelled the TV, stood back, and admired our wonderful handiwork. Then we turned on the TV. It was a beautiful picture… with what appears to be a permanent two or three-inch diameter blank spot on the right-hand side denoting missing pixels. It doesn’t show up in this photo but it’s there. 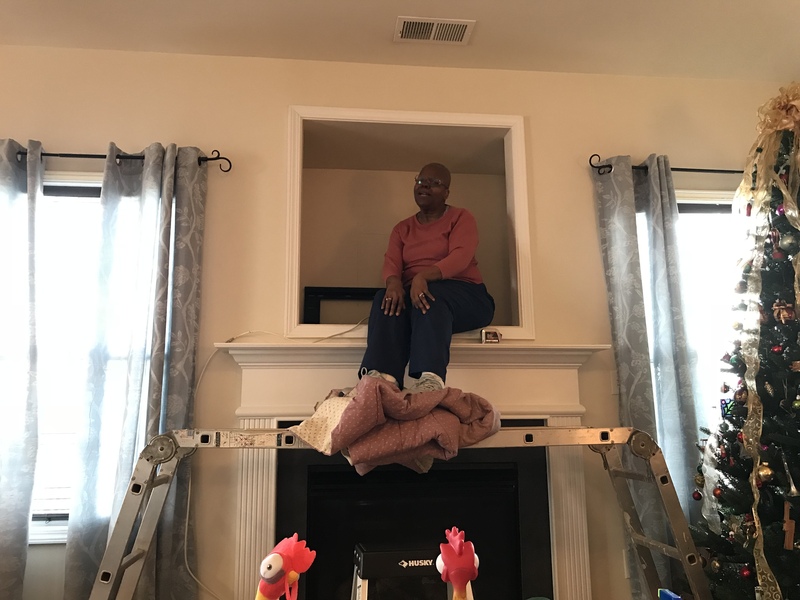 So, we’ll have to take the TV down and return it to the store. Ah, well. At least I got the mount up, and though I was sore the next day, as my daughters said, I didn’t kill my old self doing it. Do you find yourself looking for a book you can finish because your day hasn’t got enough “day” in it and you’ve been so busy that by the time you sit down to read, you either hear a thud and snap awake to find the book on the floor, or, you find yourself wearing it on your face? Or, did you sign up for the Goodreads Reading Challenge, and now it’s down to the crunch and you’re running out of time to reach that goal of thirty (or fifty, or twenty, or even ten) books you said you’d read? Well, have no fear, short reads are here! Here are some great ebooks that were written by eleven fantastic indie authors who are also short story writers. Go on, take a look, browse around and pick up one or two – or more because most can be had for only .99 cents and some are free; most can be read in one sitting, and some are so short you can read ‘em in ten minutes! Take a shot at some awesome stories… there’s something here for everyone! Every writer has a debut book, right? You’re supposed to get a blog, go on social media such as Facebook, Twitter, Goodreads, etc, and do a press release and some serious promoting leading up to your publish date so folk will hear about your brand new baby way in advance. *SIGH* Well, I did none of that. As far as I know, nobody knows, even now, that my debut novel was Boucher’s World: Emergent, a science fiction novel set on a world circling the star, Epsilon Eridani. My reason for doing none of that? Simple: I didn’t have a clue. I didn’t know I was supposed to do all that. I just wanted to get my book published before I died. I’m an independent writer, one who never tried traditional publishing. I checked into it but determined that if I went that route, since I was sixty-five years old at the time, by the time I got a book published, I’d be at least in my seventies – assuming I ever got one published. So I checked on publishing a book on my own and discovered there were several ways of going about it. I decided it was best to steer clear of vanity publishers – mainly because I was broke and they all wanted a bunch of bucks – and went with doing it as an ebook at Smashwords which was FREE. I liked free. I had my book ready to go, so I read the free guide on how to format an ebook and get it distributed to the major ebook sites (the Smashwords Style Guide), uploaded the thing, and off she went. I have to admit that it’s a good guide, especially for a rank beginner – as I was – and after going through it and following the instructions, I had no problems getting my book through what Smashwords calls their “meat-grinder”. What I didn’t do, though, was read the other free Smashwords guides: the Smashwords Book Publishing Guide, and Secrets to Ebook Publishing Success. Something I should’ve done before publishing, I suppose, but, who knew? Had I read those first, I probably wouldn’t have published when I did. I think I would at least have signed up for Twitter, first. Heck, I didn’t do that ‘til months later, after I’d already e-published several other books. Too late, I believed, to holler about my debut novel. So, I didn’t. I just kept writing and publishing, mainly because I realized early on that I got a large amount of pleasure out of just writing the stories. I wish I was good at promoting, though, because I also get a kick out somebody, somewhere, reading one of my books, too. Not good at that, so I just keep writing. Anyway, what I’m trying to do (in a round-about way) is holler about my debut book. I know, I know, it’s a bit past time for that, and at this late date it’s probably useless to even bring it up, but I spent a good deal of enjoyable time writing that book, and I feel it deserves to be acknowledged as the very first book I ever published. The first in what eventually became a trilogy in a series of nine (so far), that I call the Boucher’s World series, this book is free on all ebook sites, the others can be had for a negligible sum. The people of Boucher’s World have been trapped inside a Dome that has covered nearly their entire continent since shortly after the Earthlings arrived on the world a little over two millennia ago. For ages, they’ve sought a way out. One day, a Human predult, a young woman named Jade, and her Cat partner, Tally, make a remarkable discovery: a door to the outside. This book chronicles what happens when the people – which includes sentient cats and dogs, and an alien race called the Elvwists – finally emerge from what has been a cage for them for so long. Will they be able to contact their home worlds? And what happens to Jade when she’s kidnapped by a man who “collects” young women? Will she be rescued in time? Find a couple of reviews, here, and here. Today as I was clearing out some old papers, I found this. It was one of my few attempts at poetry and I wrote it for my granddaughter back in 2005 after the loss of her first child, my first great-grandchild. We have never forgotten him, but finding this brought him back sharp and fresh in my mind. Comforted, safe, floating in a world created especially for him. No fears, no worries, dreaming unborn dreams. 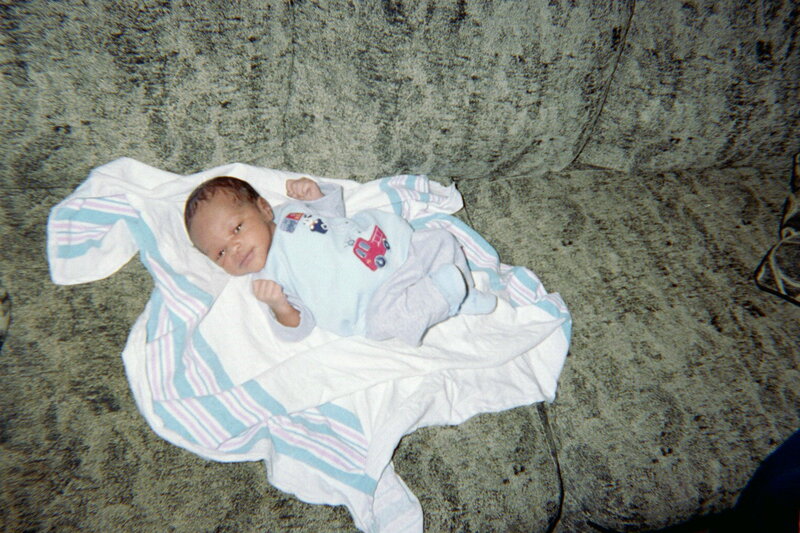 And in God’s bosom, heaven’s littlest angel. Thank the Lord, I finally got my taxes done! It’s been a month since I resolved to do my return. Then I got sick and didn’t feel like working on it. When I did feel better, I went back to procrastinating, doing everything but that. I kept feeling that if I went to work on that, then I’d just feel bad again. Yeah, I know, any old excuse will do. My daughter kept nudging me (bless her heart!) until I decided to check with some of the tax return businesses to see how much it would cost to get a simple return done. Well. That didn’t work. I had no idea it would cost that much to get a simple return done. I’m retired and on a fixed income, and paying someone to do this for me wasn’t going to fly, so I got on the internet and went back over to irs.gov to check out the free efile thingy. I searched through them until I found one that would do both federal and state, and I sure am glad I didn’t just take the first one that popped up on the list. That company would do the federal for free but would charge $29.95 to do the state! There were a number of them like that, some charging even more. It seemed to me that they were just making up for filing your federal for free by overcharging you to do the state, since that’s about what I paid to file both a couple of years ago (last year, I used Turbo-tax and it didn’t charge for federal but charged 14.95 for state). Seemed kind of deceitful to me. Anyway, I found one, OLT, that would do the federal for free and only charge $7.95 for state. I felt this was a good deal, so I had at it. I got all my stuff together and started working on it last week. Then I had a relapse of feeling bad, and laid everything aside. Then one of my granddaughters and her five-year old son came to spend a few days with us, and I enjoyed their visit but didn’t feel like working on taxes while they were here, so in between bouts of feeling like crud and having to lie down, I got in a little writing and did a post or two somewhere (I know, I know, I was back to procrastinating. So sue me!). The grands left Sunday and I didn’t feel well Monday, so yesterday I hopped right back on it. Heh. No, I didn’t. I was going to, but felt bad again, so I wrote instead. Today, I did my taxes. In fact, I just hit the efile send button after printing and going over the forms to make sure I didn’t miss anything. And guess what? OLT did not charge me that $7.95 to file the state! It seems I was poor enough to qualify for free federal and state. This made me very happy. I would dance if I felt well enough to get up and do it. Maybe tomorrow. It’s that time of year again. Yeah. That time. Tax time. And here I go procrastinating again. I don’t know why I do that. It’s not as if I have some horrible, complicated financial situation. Indeed, my taxes are not hard to do at all. In fact, it’s so simple, I don’t really need a tax program to do my returns. I’ll use one, though, because I’m going to do the free efile thing. Of course, I have to find one I can use at irs.gov. No problems with the income limit, I’m well below the allowable limits of the $51,000 for some or the $57,000 for most, but some free-file companies have restrictions on age – I’m too old for some – and since I also have to file a state return, some don’t take my state. Sigh. Well, I’ll find the right one, and hop right on it. Sometime between now and April 15th. Okay. So I’m trying to set up a twitter account. Never twitted – um, no, no, I think that should be “tweeted” though I’m not sure – before! Don’t know who to “follow” but the thing is giving me “suggestions”. What I really want to be doing right now is working on the second book in my series that I’m trying to get completed and published sometime this spring. 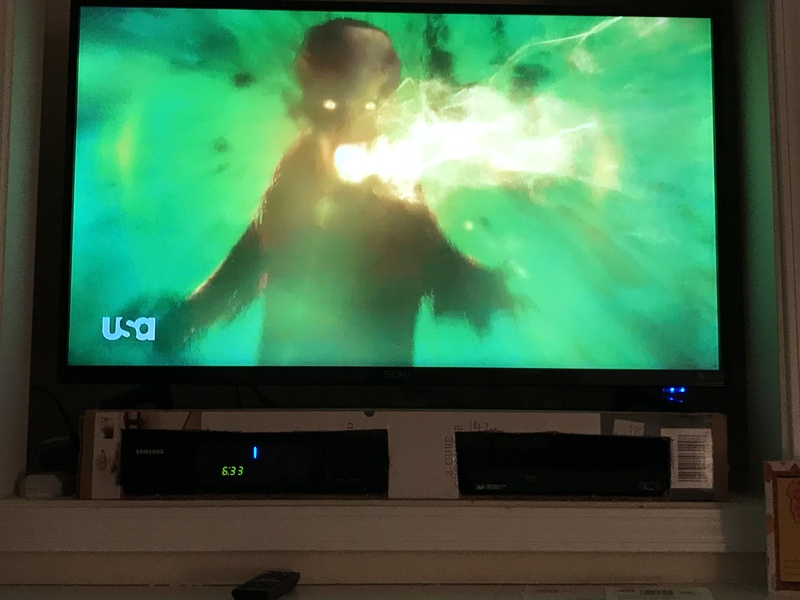 Got stuck on that, so I thought I’d work on the other book I’m writing that’s not part of the series but is in the same “universe”….got stuck on that too! So I finished a novelette I’ve been working on since last fall. Working on the cover for that one, hoping to get it published shortly. Got a new laptop for Christmas, and it came with Windows 8. Love the laptop (an Asus i5, a gift from my children, with…um, I don’t remember how much ram or rom – enough for me, though), but I’m still trying to get used to Windows 8!